Dec 30, 2016: Work center or fancy saw horse? 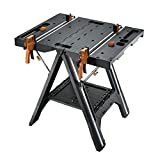 Feb 11, 2019: I want to get a work bench for gunsmithing / other applications. Suggestions?